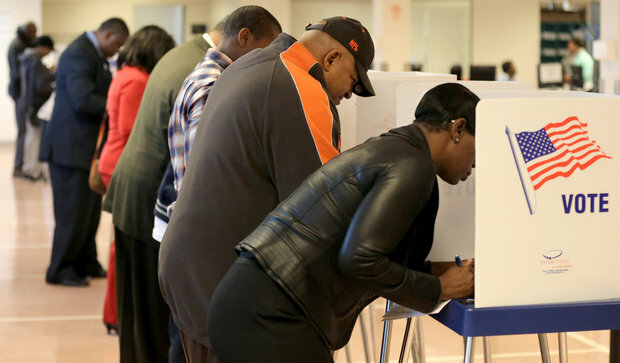 BALTIMORE – From the passage of Amendment 4 in Florida, which restored voting rights to convicted felons to the record number of early voting among voters of color – including a 77% increase among African American voters, the NAACP’s civic engagement initiative, The Demonstration Project, helped propel Black voter participation during the midterm election to historic heights. The NAACP, along with GSSA, LLC, a Colorado data analytics group, mapped out metrics for the Black community – across six states (Florida, Georgia, North Carolina, Ohio, Pennsylvania, and Michigan), to test new targeting models for low propensity and moderate propensity black voters, impact the elections and identify parity in registration and increase the turnout of Black voters in battleground states. Florida: NAACP and partners knocked on approximately 165k doors and completed over 24k contacts. Pennsylvania: approximately 30k doors and completed over 11k contacts. Georgia: approximately 30k doors and completed over 6k contacts. Ohio: approximately 17k doors and completed over 9k contacts. Worked with County Board of Elections in various states, in real-time to ensure that issues at the polls were addressed in a timely manner and to support voters who had issues in casting their ballots. Participated in litigation pressure efforts to extend voting hours due to voting administration irregularities in Georgia and Tennessee. Reached over 575 thousand infrequent voters directly through peer to peer text messaging platform called, Hustle. Sent three flights of mail to our targeted universe of infrequent voters which included over 600k individual households. Unfortunately, voter suppression played a huge role in the silencing of the political voices of the Black community and all people of color during the election season. In Georgia and Tennessee alone, Republicans engaged in a massive voter suppression strategy that has included further rolling back the Voting Rights Act.